SAN DIEGO — Thousands of boating and fishing enthusiasts rushed to Shelter Island to take in some beautiful weather and kick off San Diego’s 2015 fishing season with the 36th annual Day at the Docks. The waterfront event in Point Loma was held April 19 and featured dozens of fishing vendors, aquatic art, live music and an open house for San Diego’s sportfishing fleet. Also featured were boat tours of the harbor, cooking demonstrations, seminars and free fishing for children. Among the exhibitors at the festival were The Log/FishRap, Bloody Decks, Department of Fish and Wildlife, International Game Fish Association, Sea Tow and several fishing gear suppliers such as Avet Reels, Berkley-Penn and Shimano. H&M Landing and Point Loma Sportfishing showed off their respecting fleets throughout the daylong festival. Hosted by the Port of San Diego, Day at the Docks also kicked off the Kids Fish Free promotion. 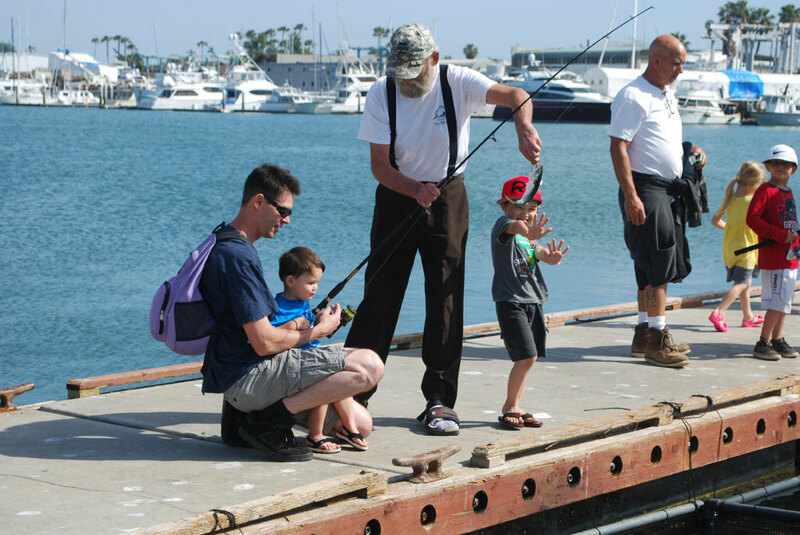 Kids age 15 or younger can fish free (with a paying adult) on any half-day, three-quarter-day or full-day fishing expedition on a sportfishing fleet in San Diego Bay between April 20 and May 31.